Winter at Seize the Birthday and more! Here is my post over at Seize the Birthday everyone! that as our ” Toppings” option this week. us see how you interpret the winter season! I hope you all decide to join me! The paper and ink is all Stampin up. The Sentiment is also SU and is in the Blue Ribbon set. The larger snowflakes that are actually Doilies are made with my Cricut. The smaller snowflakes are a Martha Stewart Punch. The base panel is a starburst technique and was very fun to make. You can find many of them over on Youtube. I learned how from my SU consultant. She is the BEST! Some silver Stickles, ribbon, and pop dots finished off my card! 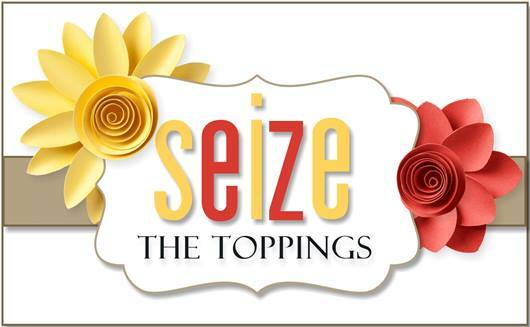 Please head on over to Seize the Birthday and join me …it would make my day! Here are the Links to my talented teammates to get you started! WINTER challenge going on as well! Love me some Pink Elephant…who couldn’t look at that face! Fabulous card, Nancy! Love all the shades of blue and your fabulous take on the theme. Thanks so much for playing along with us at The Pink Elephant! This is so pretty. Love the color combo and the pretty snowflakes. A great wintery birthday card. Beautiful colors, love the layered ribbons and the layered banner ribbons too! Well done! Oh Nancy, this is so PRETTY! LOVE the colors and the mix of papers and the banners! I will catch up with your blog soon, my friend! Very pretty combo of colours and patterns of DSP. Love those snowflakes too. A perfect wintery, birthday card! 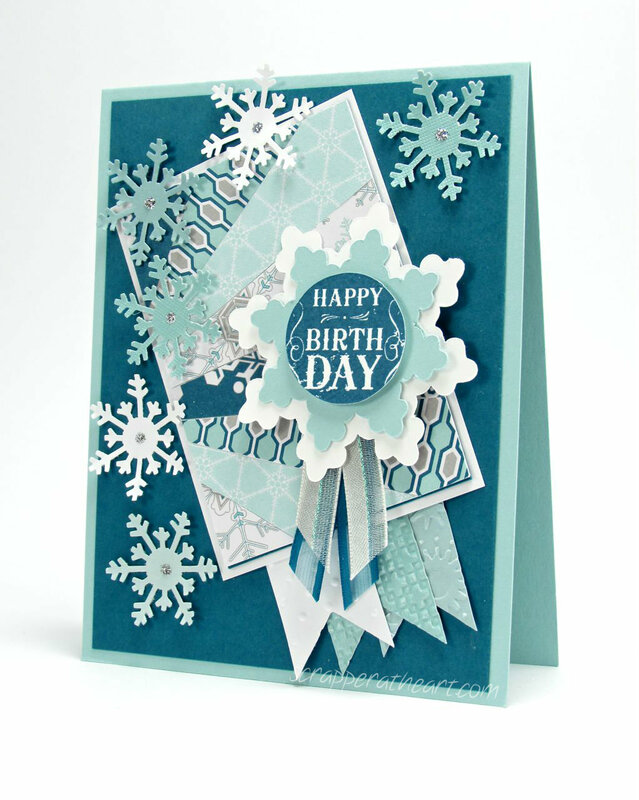 Hi Nancy, I just had to tell you how gorgeous I think this snowflake birthday card is.. Love all the snowflakes perfect for a winter birthday! Thanks so much for letting me know and your sweet comment…I really appreciate it!! !